A 16-page report published by the United Kingdom think tank UGI to give general information about Afghanistan’s contemporary history and conflict. Most useful for high school students. 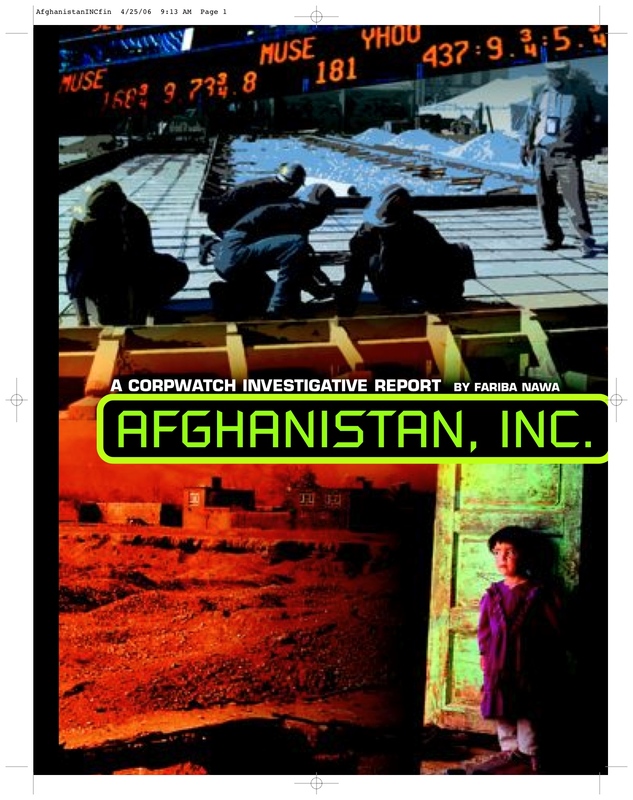 One of the first investigative reports to detail the inefficiency and corruption of American companies hired to reconstruct Afghanistan after the U.S. ousted the Taliban. The 30-page report first came out in 2006 but continues to be talked about and used as a source for other reporters and scholars. The New York Times, Washington Post, the BBC, Al-Jazeera and other major media have all alluded to the report in their stories about Afghanistan. She received the Project Censored award for Afghanistan, Inc. in 2007. The report’s findings were presented to U.S. Congress and law enforcement officials. Several years later, U.S. authorities revealed that four of the companies scrutinized in the report were under investigation, the owners of one company were convicted of corruption and jailed. In 2008, U.S. officials opened the office of Special Inspector General for Afghanistan Reconstruction to audit and investigate U.S. taxpayers’ money allocated to aid work in the war-torn country.